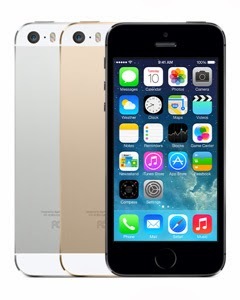 The much awaited phone's iPhone 5c and iPhone 5s are released yesterday by Apple. But to our disappointment the iPhone 5c which was termed as budget iphone is no longer a budget phone.The entry-level 16GB iPhone 5c without a contract has been priced at $549 in the US. That comes out to a whopping Rs. 35,000 at current exchange rates (1 USD = 63.65 INR). 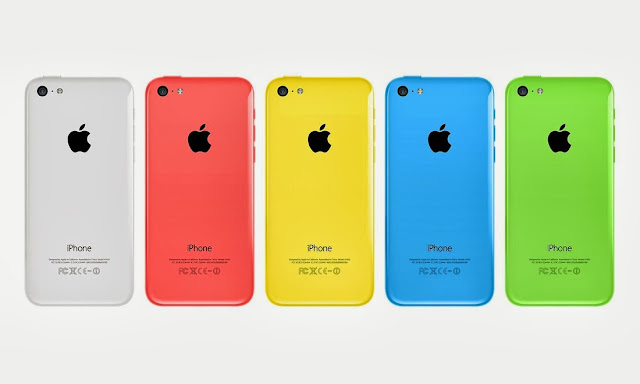 The 16GB iPhone 5C will be released for $99 with a two-year contract. A 32GB model will cost $199. Now coming to the iPhone 5s.One feature is a killer one. It is included with a fingerprint-scanner called Touch ID. WOW.. The "Touch ID" capacitive fingerprint sensor built into the home button is capable of scanning sub-epidermal skin layers. Touch ID can be used to unlock an iPhone and authorize iTunes purchases. The rear camera in the iPhone 5s has a new 5-element lens with an f/2.2 aperture and a sensor that is 15% larger than the current iPhone 5, as well as a dual-LED "True Tone" flash that will adapt to the existing lighting to provide better colors and more accurate skin tones. Other new camera features include Burst Mode, capable of capturing 10 pictures per second and automatically selecting the best shot, and Slo-Mo 720p video capture at 120 frames per second.